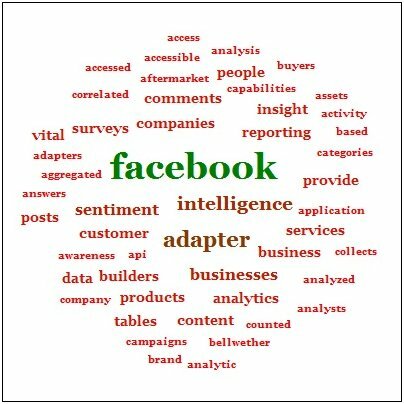 The Words Analysis Adapter counts the occurrences of each word within textual data. It includes a Stopwords file, which can be modified, to define the words to exclude from the analysis. The results can be displayed in a Tabular report or graph. A tag cloud graph is a popular choice for analyzing the occurrences of words within textual data.